Product prices and availability are accurate as of 2019-04-19 06:56:17 UTC and are subject to change. Any price and availability information displayed on http://www.amazon.com/ at the time of purchase will apply to the purchase of this product. 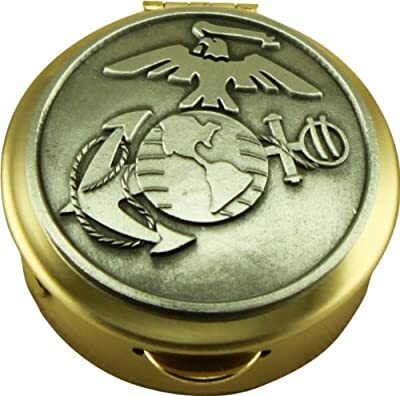 High quality polished brass US Marine Corps Pillbox. The box is adorned with a detailed Marine Corps pewter military logo. Free velvet gift pouch included.